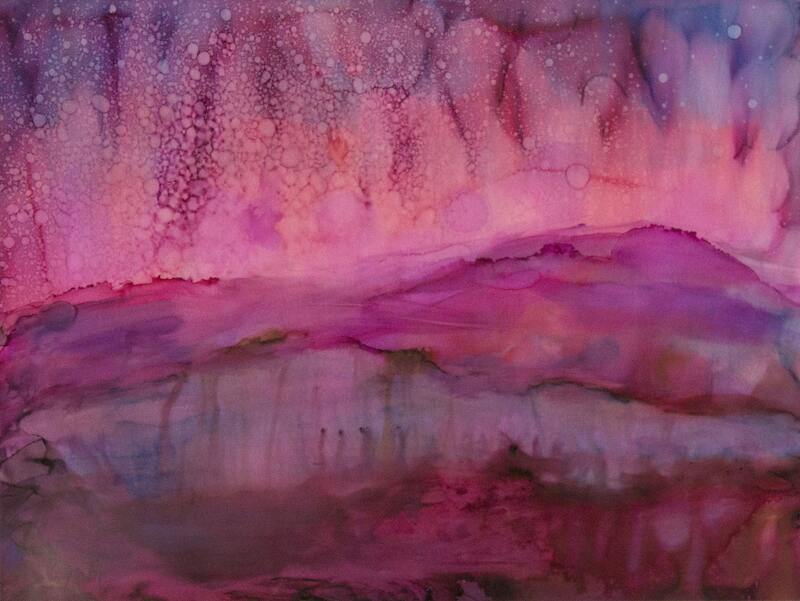 This original, watercolor-style, lilac and purple painting is made using a medium called Alcohol Ink. 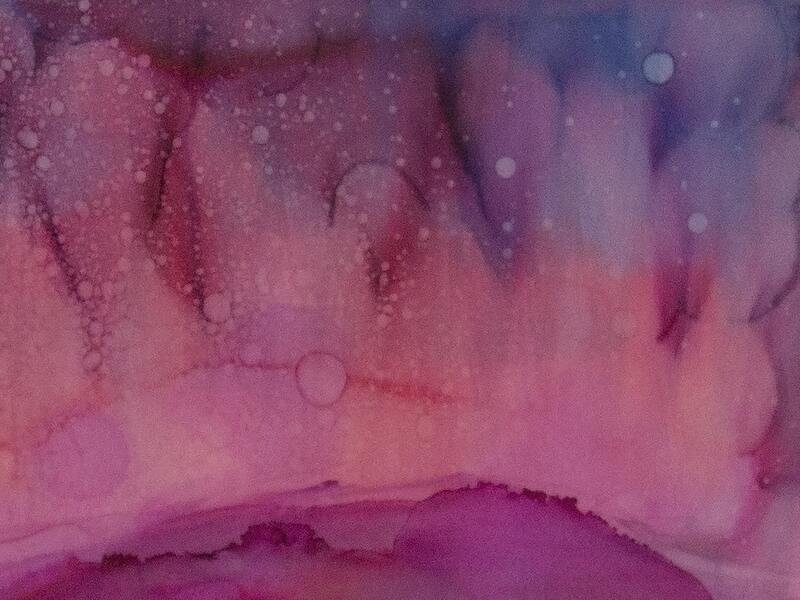 It looks like watercolor, but the pigments are much brighter, richer, and vibrant. 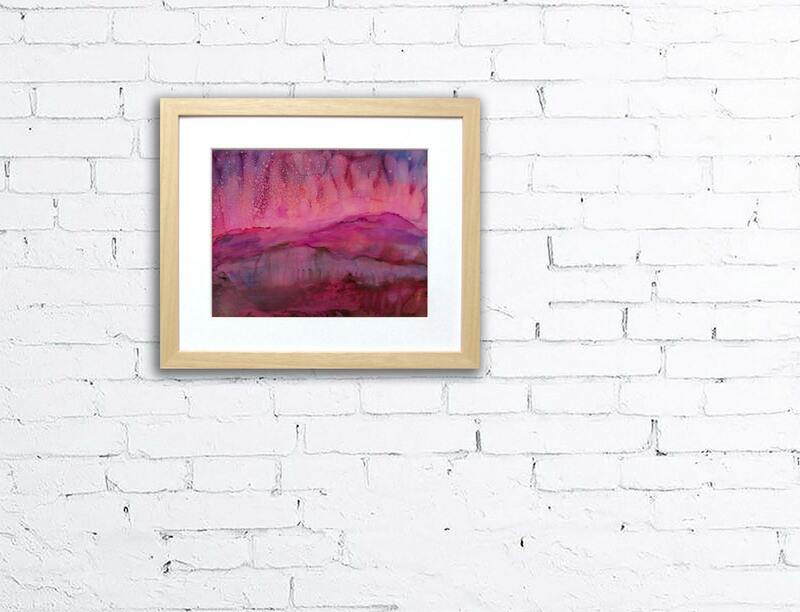 Your mind freely wanders over this semi-abstract, dreamy landscape enlivened by a splash of stars splattered across a pink sky. 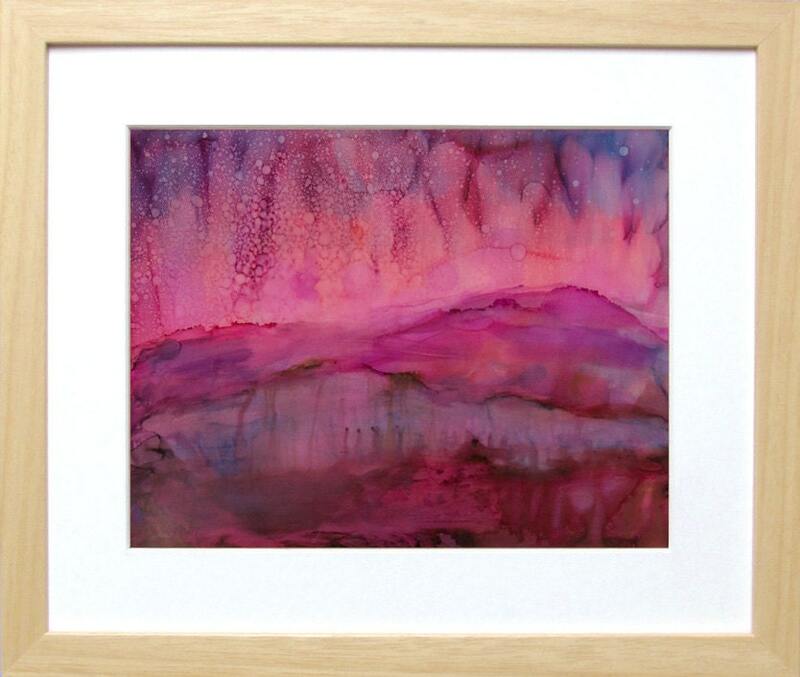 This piece comes unframed, but it's a standard size that's easy to frame yourself! Note that the photo may not be quite to scale (see dimensions at the bottom of this description). My work is inspired by nature, always. My eye is drawn to the patterns, colors, and flowing energy I find in the woods of the Appalachian mountains. Now living in NYC, I have to rely on memory and recorded sounds of nature to spark my creativity, but the city brings new elements into my work and creates a new challenge.